What is a life insurance 'with-profits' policy? As soon as we hear the words ‘with profits’ our ears are pricked and we’re a captive audience. Irrespective of whether we’re a big time banker stalking the corporate jungle or a home-maker wrestling raising a family with a myriad of other responsibilities, as we all like to think we can make a fast buck here or there. Unless you’re a totally zoned-out hippy type, content as an old shoe living well off the grid; in which case anything ‘with profits’ wouldn’t interest you a jot. That said, even moon and tide-worshipping peeps might be interested to learn about life insurance ‘with profits’ policies and how they could work to your advantage, as let’s face facts; everyone should have some form of life insurance plan, regardless of your lifestyle choices. But then comes the calculated gamble associated with most lifestyle options we choose to take in life, notwithstanding which route we decide to venture down. You see life insurance ‘with-profits’ policies habitually throw up risk elements and are typically as dependent on the volatility of the economical conditions prevalent during the term of the policy. Essentially with-profits policies (with direct regard to whole of life packages) aim to smooth out the peaks and troughs of stock market unpredictability by retaining investment returns accumulated during the good years so that payments can be topped up in the leaner years. This comes into effect as effectively with-profits whole of life policies routinely incorporate an investment element as part of its very fabric, meaning that the pay-out on the policyholder’s death is the sum assured; which is bolstered further by the inclusion of any investment profits allocated to the original agreement. These bonuses as such are incrementally added to fundamental sum assured, with the potential for a final bonus windfall realised at the end of the term. However, therein lies the rub and unforeseeable nature of this branch of life insurance product, as often with-profits plans have under-performed over a pre-defined passage of time and as a result are less popular than they once were. Ostensibly there’s the very real chance that policyholders could receive less at the end of the term than the amount they have invested in the long run. Just how do ‘with-profits’ life insurance packages pan out in real terms? But let’s rewind a little and get to the nitty-gritty of what life insurance with-profits policies are all about. Stripped back to basics a with-profits policy is an insurance contract that participates in the profits of a life insurance policy provider. These policies are designed to evolve and mature over many years and were initially orchestrated so as to be a means of accrued wealth re-distribution which came to fruition courtesy of the accumulation of an unplanned surplus of funds – which in itself reflected lower than anticipated death rates amongst a broad demographic of typical policyholders. In recent times with-profits policies have been utilised to offer flexibility to pursue more transparent and perceivably adventurous investment policies with the ultimate view of achieving long-term capital growth for the insured party. From the outset a would-be life insurance with-profits policyholder would arrange a plan with an insurance provider based on their financial clout, historic customer returns and the terms of the contracts available, as they looked to make a financially-savvy long-term investment. The premiums which the policyholder pays are pooled within the life insurance provider’s life fund, facilitating the combined assets to settle on-going claims, yet a sizeable percentage of the life fund which remains untouched is then in turn re-invested in equities, bonds, gilts and property to aim to achieve a high overall return for the insured party; which is where the calculated risk we mentioned above comes into play. In the event of the insurer making money in these arenas over a period they subsequently distribute a significant part of these profits to life insurance with-profits policyholders in the form of a bonus. Said bonus rates are arrived at in the aftermath of the provider taking into account factors such as the return on the underlying assets, the level of bonuses declared in previous years and other actuarial assumptions, including future liabilities and anticipated investment returns. You might concur that one of the main attractions to with-profits policies is the opportunity it presents to otherwise cautious financial investors, who wish to experience the thrill of the stock market, yet conversely not being exposed to too much of the well-documented risk. Incidentally, traditional with-profits life insurance policies have a basic sum assured figure, which the accumulated bonuses (should there be any at the end of the term) are then added. The basic sum assured of course being the minimum amount of life insurance payable to the policyholder (or rather their dependents) in the event of their demise. With direct reference to these bonuses there are a possible three different types which the with-profits policyholder could, effectively benefit from at the end of their life insurance cycle. First up is the reversionary (or annual) bonus, which is an eventual windfall which is awarded during the term of the policy and guaranteed to be paid out to the insured party once the policy has fully matured. 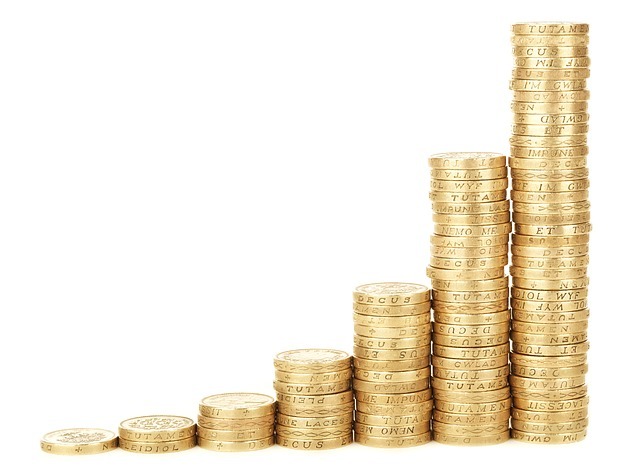 The guaranteed bonus tends to materialise as a monetary amount calculated on per £1,000 of the sum assured and is mutually determined at the beginning of the policy and is rarely subject to revision or amendment during its cycle. Thirdly, the terminal/final bonus can be paid-out either when the policy matures or if it’s prematurely surrendered; therefore the actual fiscal amount cannot be defined from the outset. In theory the terminal/final bonus is monetarily representative of the policyholder’s entitlement to a proportion of the fund which has been put to one side while it’s being smoothed. The practice of ‘smoothing’ is the levelling of the investment playing field, acknowledging that in years of good investment growth companies should hold back profits and use them to top up bonuses in years when economic conditions are harsher. It’s not unknown for a Market Value Adjustor to be applied to reduce the overall with-profits policy value to limit the settlement figure to a reasonable multiple of what’s considered to be the life insurance policyholder’s fair share. Insurers have a history of using MVAs to try to ensure that policyholders who cash in their investments early do not disadvantage remaining policyholders. At the end of the day the life insurer has the flexibility and is at liberty to ascertain what combination of bonuses to pay, and can mix and match as it goes along to attempt to manifest the best possible returns for the policyholder. For example, an insurer may wish to pay-out a low annual bonus yet a high terminal bonus, with the consequent effect of this meaning that the insurer will be protected to a certain extent from drops in the investment markets, based on the premise that annual bonuses cannot be rescinded once awarded. And if that wasn’t enough information to digest for the time being, then we have another curve-ball to throw into the already heady life insurance with-profits mix, namely unitised with-profits policies. In this instance a with-profits fund is notionally divided into units, yet not in the conventional and financial sense of units (i.e, unit trusts). But rather units for the underlying intents and purpose of internal bookkeeping. Said units are supported by an asset pool (or fund, to keep it simple), into which the policyholder pays the premium. However the bid price – or unit value from an investor’s perspective – is not inextricably linked to or governed by asset movement, which it would be if the policy was unit-indexed. Alternatively the life insurer self-manages the price of the units – or indeed, varying multiples of them – by way of allocating bonuses to the portion of policies relating directly to the units. In this specific case the fund addressed is more likely to be a dedicated sub-fund as opposed to a whole of life with profits pot, so operates as a separate entity for the most part. On some occasion the term ‘unitised with-profits’ may refer to with-profits and investment-linked funds found under the roof of the self-same life insurance package, with the option of switching between the two being afforded the policyholder.